Why is the Haggadah written in Hebrew? The Haggadah was written during the Talmudic period, so I would expect it to be written in Aramaic. Especially since the entire purpose of the Haggadah is the telling over of the story of yetziat-Mitzrayim in order to fulfill the mitzvah of remembering the Exodus, I would expect that it would be written in the colloquial so that everybody could understand it. Instead, the Haggadah is written almost entirely in Hebrew (with the notable exception of the ha lachma anya paragraph, which is indeed in Aramaic). Why is this? Considering that both the current Sephardi and Ashkenazi rites came from the Siddur Rav Amram Gaon a copy of his siddur with Haggada was printed in 1921. According to various sources Jewish Viritual Library Jewish Agency There was no codified nusach before then. So that would make Rav Amram Gaon the codefier of the Haggadah and his Hagadah written around 858CE the first one. So in answer to your question the Haggadah we have today was written post-Talmudic period, specifically late into the Geonic era. Which is why there is both Aramaic(the Biur Hametz and Ha Lachma for example) and Hebrew, as the Geonim(and the Jews of that period) were fluent in both. The idea that Hebrew was not a universally understood language by Jews seems to be rather new. See for instance Divrei Shalom Minhagei Beit El, in which he states that the only language spoken in the Beit El Yeshiva was Hebrew, and makes mention that this was common in Yeshivot in Israel. This source and this source point to Hebrew being the lingua franca in places like Eretz Yisrael. Further according to this brief history of the Hebrew language, it would appear that the Haggaddah was written during a resurgence in the Hebrew language. The third period is called Medieval Hebrew and began in about the 6th century CE. This represents the period when the flame was rekindled and began to burn brightly again. During this period, commonly known as the Renaissance, there was a tremendous growth in the arts, literature and culture in Europe and the Middle East. This seems to have had a positive effect on Medieval Hebrew. Many words in Medieval Hebrew were borrowed from Greek, Spanish, Arabic and other languages. This period also saw the addition of about 2,000 to 3,000 scientific and philosophical terms. Some words were formed by making use of old roots. Some were based on existing Hebrew words. And some were adapted from foreign languages. Many great theological, philosophical and poetic Hebrew works were composed during this period, mainly in Spain and North Africa. Medieval Hebrew was also used for translating works from Arabic. This period lasted until about the 13th century CE and represents a great resurgence of the language. 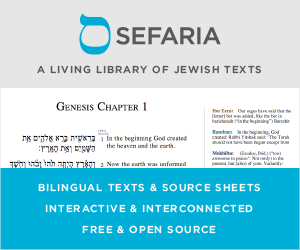 Much of the core of the Haggadah consists of either quotations or paraphrasing from Mishna or Tosefta, or consists of Biblical verses. In either case we'd expect Hebrew the text is an instruction manual for relatively learned individuals--who would convey the essence of the message to those less learned. So again, Hebrew is not unexpected. The few Aramaic passages are either aimed directly at the masses (Ha lachma) or kids ( chad gadya). The latter is very late in origin and the Aramaic may have been for effect rather than comprehension. Not the answer you're looking for? Browse other questions tagged hebrew passover passover-seder-hagada language aramaic . Why is Hebrew Called “Jewish” in the Bible? Why is Chad Gadya a mix of Hebrew and Aramaic? Which “shita” did the 5 rabbis in the Haggadah follow regarding the earliest time for morning Shema? Why does Echad mi Yodeia switch languages in middle? Why is Hebrew written without vowels?